I have written this before, but the Fall is my favorite Chicago season. There are years where it feels like we get only one week of Autumn, where the weather rests between Summer’s sweltering heat and Winter’s freeze. This year, though, we are enjoying a few weeks of transition. The garden just started to die back last week and most of the trees still have green leaves. While it is spooky and probably an indication of not-so-good warming trends, we are enjoying it while we can. Fall is also the season of anniversaries for us here on the detour. If you have read the About page, you know that this adventure, my “detour” started in August of last year. So in celebration of our 1 year Anniversary, I started a D-3 Facebook page! So now you can go and like us there so we can see how that develops. Let’s see what new things I learn from getting in the social media mix. (Quick aside; Wife has maintained a Facebook page for a few years now, I am just getting on the site.) I am expecting an exponential growth in readership folks, so please be generous with your networks. It is pretty amazing to look back at our first year. 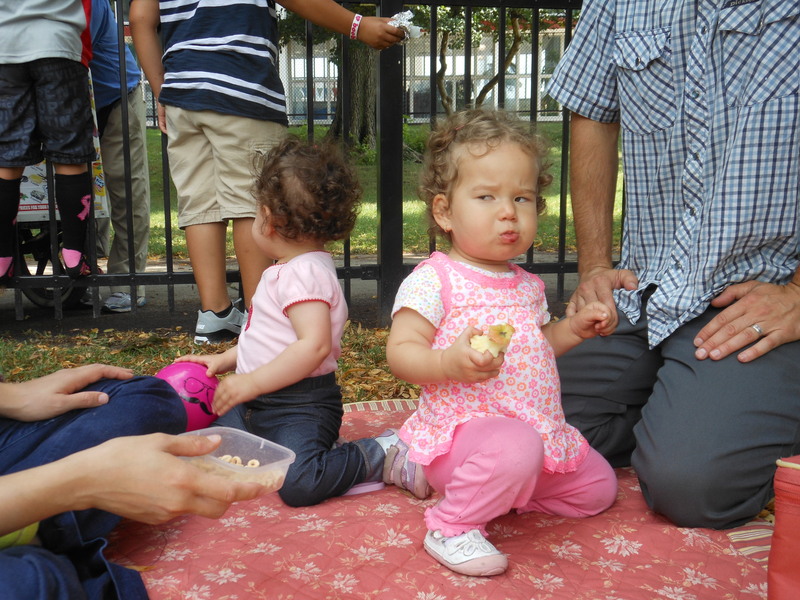 Sweetie has transitioned from a quiet, sedentary infant to a fully mobile, babbling toddler. 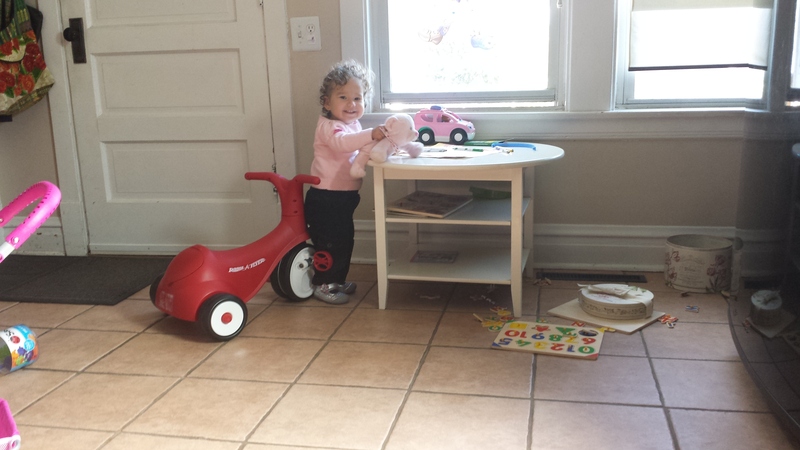 It has been great to watch her learn and grow through these changes and to see her personality begin to develop. I have the best seat in the house really. We have been through music classes and swim lessons and first friends and downtown adventures. And these are just the good times off the top of my head. The past year has also brought its share of challenges. How many meals have we struggled through; how many days looking to keep Sweetie occupied (without turning on the TV); how many poop-splosion diapers? So there were days when I wasn’t sure about this whole stay-at-home thing. Other days when this blog and the associated social media “stuff” was just a bother (I have been trying to get the Facebook page right since August!). In the moment these challenges seemed immense, and if it went wrong I often felt like I was failing. 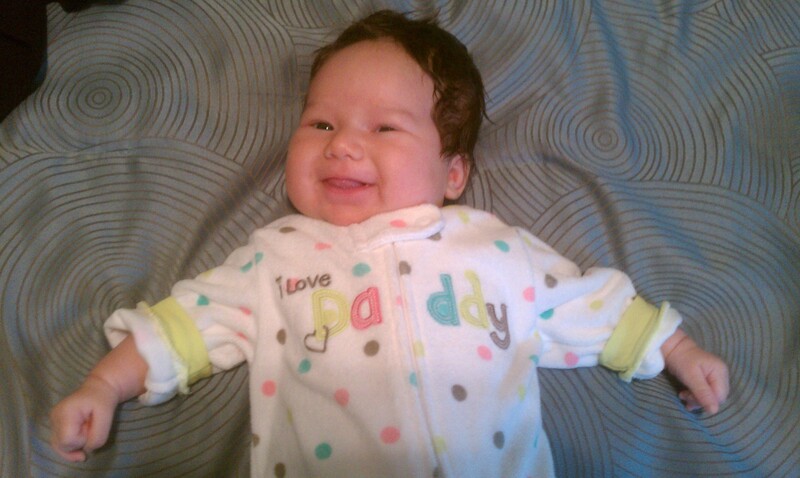 But the long-view has shown me that all of these things are an important part of my growth as a father. And thinking about the challenging times makes the good times really good. Year 2 is off and running, which is funny to me because I already thought I was behind during year 1! Sweetie keeps moving faster and faster, so overall the pace of our life is picking up as well. As always, many thanks to all of you who keep up with our chronicles and special thanks to those of you who are part of our lives. Now go “Like” us and we can keep the detour growing! Special thanks to Wife, who celebrates our Wedding Anniversary with me during the Fall. Sweetie and I had quite the adventure pulling together Wife’s gift – watch for that post later this week. 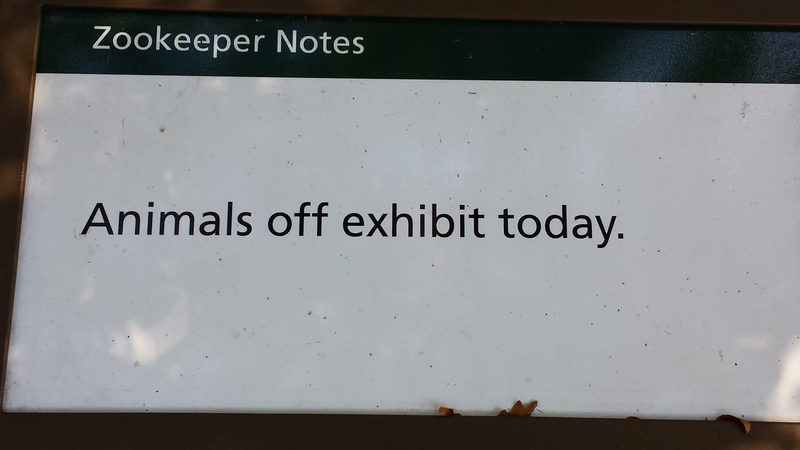 Yeah, so today’s adventure was nowhere near as cool as the zoo. But sometimes, it is all in how you sell it…and how many crackers you bring along for morning snack. See today we took Wife’s car in for service (I have been the Family Fleet Manager since before Sweetie’s time). Off to the dealership we went. Historically I schedule the work as early as possible to try to beat the crowds. Plus, I know how technicians can lag as the day draws on. Our last visit was way early and disrupted the morning routine, so I tried a mid-morning appointment so my girl would not be thrown off. Great planning – too bad she got car sick on the way there! And that’s real weird ’cause she’s not a child that gets sick..infrequent like count-on-one-hand in the last 17 months! So we were off to a great start. 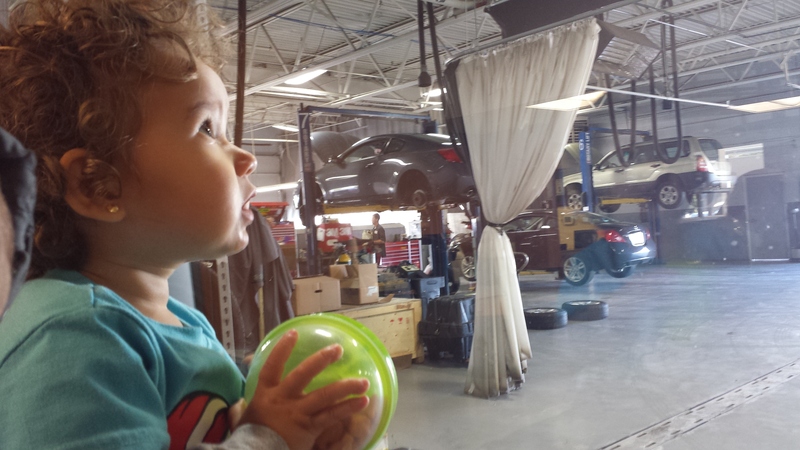 Thankfully, the dealership has nice bathrooms and good, clean changing tables. I always try to pack a change of clothes (duh!) and days like today remind me it is always worth it. So after a wardrobe change we were off to the waiting area. On one side, the 46″ television. On the other, the 46″ window to the shop. Today the shop won out (at least for the majority of our visit). 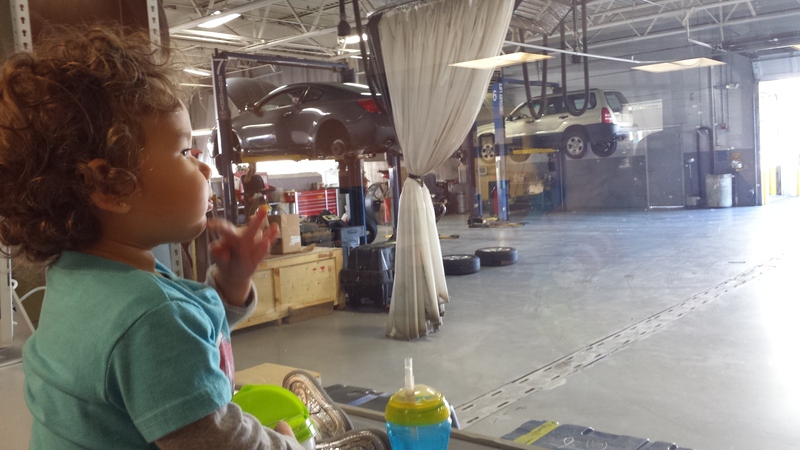 And since she was running on an empty stomach, Sweetie was content to watch the mechanics and eat snack crackers. What’s our car doin’ way up there? Momma Z’s early morning text read “Are you guys up for hanging out today?? We’re tired of cleaning and running errands!” The message was perfect, because we were also sick of running errands. For those of you who don’t live here, Chicago is experiencing unseasonably warm temperatures. Temperatures have been in the low-to-mid 70’s all week and perfect for adventuring. 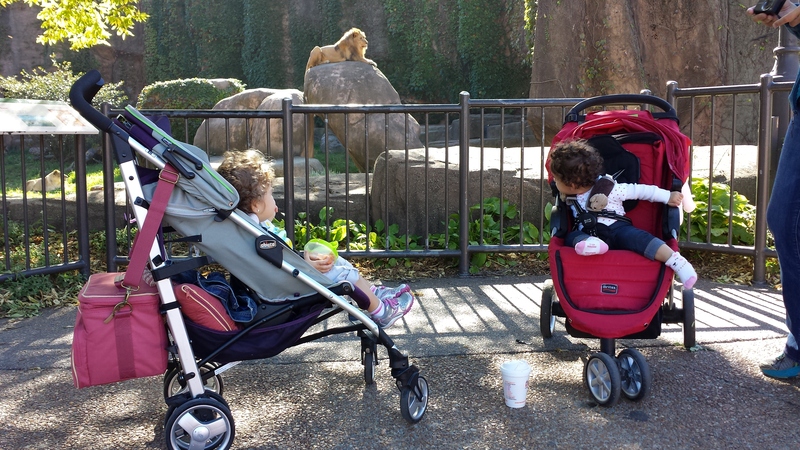 After some quick decisions we headed down to the Lincoln Park neighborhood to the city zoo…the Lincoln Park Zoo! The zoo is free and perfect for walking around to enjoy a great Chicago fall day. Momma Z and Linda picked us up and had us at the gates by 10:30AM. With the perfect temperature and full sun, the lions were much more active than usual. In fact, I think they were the most active I have ever seen. After that good start, we headed to the reptile house to catch a live animal presentation. The critter of the day: “Meatball” the three-ring armadillo! So the girls got to check out Meatball rootin’ around some woodchips. And while they couldn’t appreciate the educational stuff, it was still cool. The entrance room of the reptile house is all carpeted, so the girls safely toddled around from exhibit to exhibit. And a bunch of the exhibits have “pods” at kid height, so they could actually see the animals. We were able to enjoy a packed lunch in a clean, shaded pavilion and wandered through most of the zoo. As a random sidenote, the bathrooms by the pavilion were new and clean, and there was a clean changing table in the Men’s Bathroom. Good job LP Zoo! Overall they are doing a bunch of renovation to the zoo, making it even better. 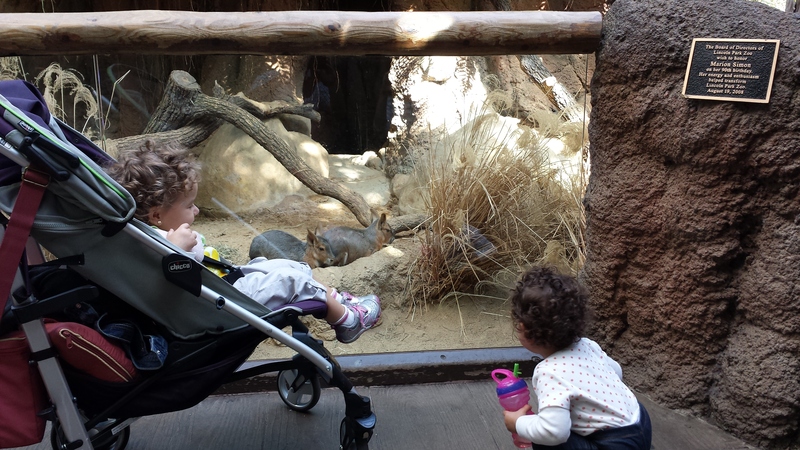 The girls’ interest level varied by the animals. Obviously, they were more into the active animals and barely noticed the ones that were snoozing. Most of the animals were active like the lions so there was a good show overall…definitely worth the entrance fee (Free, remember?!). We had a special treat watching feeding time in the vulture cage. It was morbidly fascinating and Momma Z and I were stuck – it was better than the Discovery Channel. I decided not to post any of the rat lunch pictures (yes, I took more than one). So the day was a great adventure overall. Many thanks to Momma Z and Linda for helpin’ us get out and enjoy the day…and for driving. Random note #2: Momma Z rocked a great Lincoln Park parallel parking job, sticking their Subaru Wagon in a spot just big enough. Good thing I kept my mouth shut! Random note #3: we wandered past the cast for an upcoming TV show, “Sirens”, as they were eating lunch. No offers to be extras though, oh well. And the day’s main lesson; always check the signs on the exhibit before you search the foliage for critters.